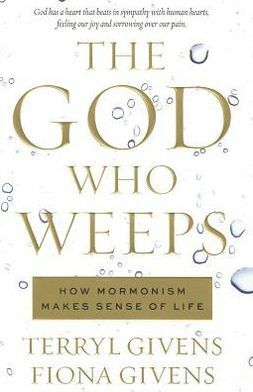 This is a post for my Mormon/LDS readers so the rest of you can read if you like but I figure as the ‘smiling LDS girl’ I am entitled to an occasional religion-specific post. Thanks! Today is a bit of a sad day for my family. My cousin passed away unexpectedly. The causes are still under investigation so I won’t speculate here but regardless it is a tragedy for her husband and 2 young sons. I was not especially close to her because her health problems prevented her from traveling and she lived a ways away. Nevertheless, my heart broke for my uncle who has already lost 1 son to the toll of drugs in 2001. It makes you wonder. Makes you wonder why God allows things like this to happen especially when it appears we have suffered enough? One wants to throw up your hands and say ‘Didn’t I learn the lessons the first time?’. To answer this most probing question let me try to explain something unique about my faith. First of all, we do not believe in heaven and hell. We believe all but the worst sinners will be exalted to some degree of glory. (Sons of perdition are the only one’s sent to outer darkness and to be one of those you have to have a perfect knowledge of Christ’s divinity and deny it ie a Judas-like betrayal). Anyway, those who have the highest level of the highest degree of glory continue to progress and learn. They create worlds and feel a wide range of emotions as they try to help their children be exalted. In this way eternity never ends and exaltation never stops. I know some may be startled by this but look at it this way- we do not see exaltation or heaven as a land of gumdrops and lollipops but as a schoolyard where the teachers feel a variety of emotions. Most importantly, heaven for us is not free from pain. The God of the universe is crying. How beautiful is that? He isn’t crying out of weakness or frailty but out of love. Again from the Givens, “It is not their wickedness, but their “misery,” not their disobedience, but their “suffering”, that elicits the God of Heaven’s tears. 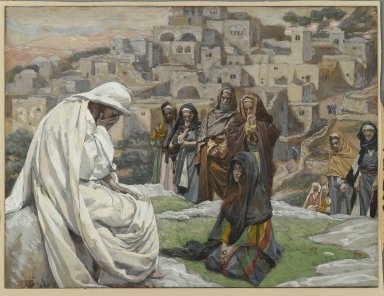 Not until Gethsemane and Golgotha does the scriptural record reveal so unflinchingly the costly investment of God’s love in His people, the price at which He placed His heart upon them. There could be nothing in this universe, or in any possible universe, more perfectly good, absolutely beautiful, worthy of adoration, and deserving of emulation, that this God of love and kindness and vulnerability. That for me is a God I want to believe in. 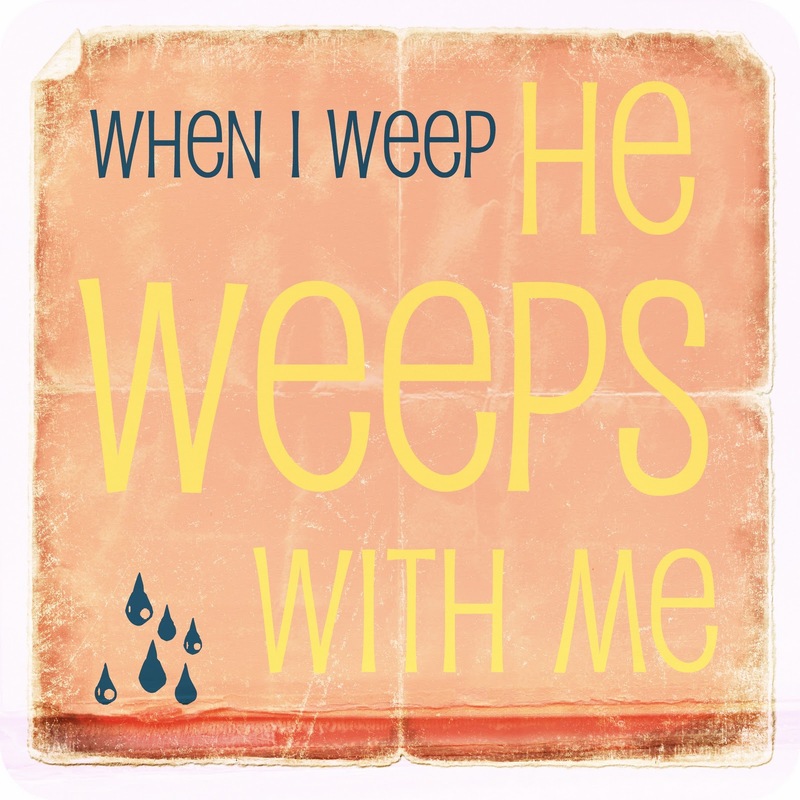 A God that loves me so much He has spent time weeping over my sin. That is the God that I want to improve for. That is someone I can pray to. The last little while I’ve felt sad when I go to the temple because I know that some people I love may not choose to follow the Savior, some may not make it to the highest level of glory. Unfortunately some will chose to not make covenants with the Lord and some will refuse to honor the covenants they have made. This is their agency and it is the only way God can work. I was thinking the other day what a sad version of heaven that would be but it occurred to me today that a Heaven without any tears would be a vanilla existence. Just as on earth we must taste bitter to know the sweet, so it is for God that the sad choices of some make the reunions with the faithful all the more sweet. In the end, it doesn’t seem so sad if I know Christ and the Father are crying along with me. Either way, we will cry in heaven. That’s the only way. It is perhaps a harder version of Heaven to believe in but a comforting one as well. The trials we go through in this life all make up an eternal character and the love we grow inside us can last forever. How powerful is that? In our Eden narrative Eve is presented with the choice of the eternal perfection of the garden or a life of highs and lows. She asks “Is there no other way?”. “There is no other way”. That’s an eternal concept. There is no other way. God understands our pain and heartache not only because He is all-knowing and all-powerful but because He is feeling that pain right along with us. How powerful is that! He loves us enough to allow us to cause Him pain. I’m grateful to believe in such a God as this.